fresh steak chops roasts and chicken cut on the spot to your liking. 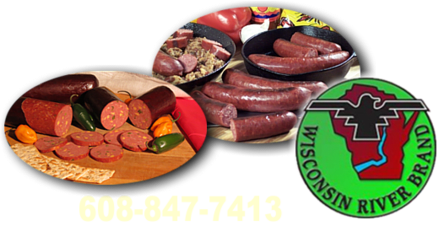 Large selection of fresh and fresh frozen meats available at our Mauston store. Friendly staff. Ready to eat meats slow smoked over hickory available for convenient preparation as a meal or to enhance any dish. Brisket ham bacon sausage and sliced roasted meats. Exotic wild game meat available in our store. Elk buffalo and venison steak ground elk burger bison patties ground venison buffalo roasts and elk roasts when available. Discounted meat bundles with combinations designed with the family unit in mind to save you money. Beef and pork bundles, steak bundles and our large family package. Large selection of unique products available at our store. Pure maple syrup, homemade soup mixes, spices and rubs, cheese and crackers soda beer and hardwood charcoal. Service Area: Mauston, Tomah, Portage, Waunakee, Wisconsin Dells, Viroqua, Montello, Wautoma, Sauk City, Cross Plains, New Lisbon and surrounding communities.